The variability in the management of bronchiolitis. Why don’t we do what we read? 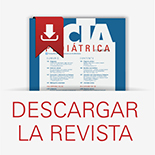 Neurocisticercosis en la infancia: ¿tratar o no tratar? 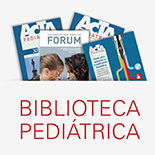 Neurocysticercosis in childhood: to treat or not to treat? Molusco contagioso: ¿cuándo debería iniciarse el tratamiento? Molluscum contagiosum: when should treatment start?